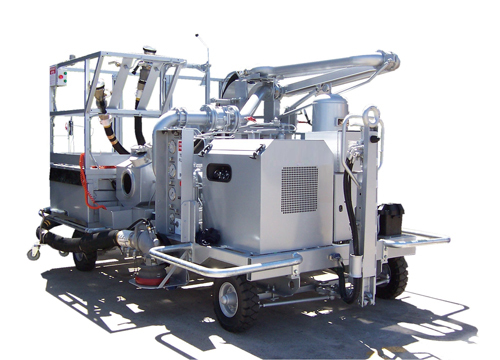 Hydrant Refueling Carts proven around the world as an effective and efficient method of aviation refuelling. With a small physical footprint and low carbon footprint, they are gaining popularity at the world’s busiest airports, reducing congestion on the tarmac, and saving time and money for operators. They are available in Narrow Body or Wide Body. Hydrant Carts contain equipment for accomplishing fuel transfers between a bulk storage hydrant fuelling system and an aircraft. It uses fuel pressure and electronics to operate the flow control. Electric interlocks are used to prevent flow operation of cart unless the brakes are set. A mechanical meter/register is also used. The electric power is supplied by a battery, which is charged by two solar panels.